Bicycling the Katy Trail across Missouri, which I’ve done three times, is a hugely enjoyable experience on one of the best rails-to-trails projects in America. 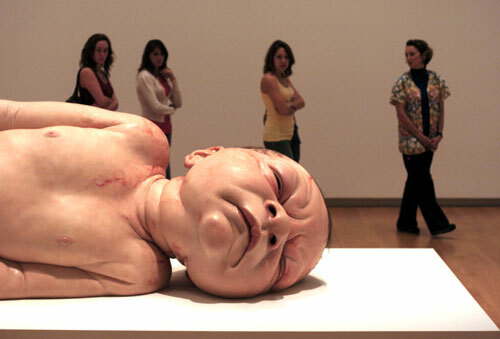 But it can leave a rider vaguely unsatisfied. The reason is that the trail is not truly a statewide route. It currently runs between Clinton in far western Missouri and St. Charles, a St. Louis suburb, in the east. The main missing piece is between the current western terminus and Kansas City. “Some 300,000 visitors hike, bike or stroll some portion of the Katy Trail State Park every year,” Mike Hendricks wrote for The Kansas City Star in a story posted Sunday on the newspaper’s website. “At 237 miles, it is the longest hiking/biking path of its kind in the United States. From St. Louis in the east to Clinton in the west, the Katy follows the route of its namesake, the former Missouri Kansas and Texas Railroad, nearly the breadth of Missouri. Now, the finishing touches are being put on the first 3.16 miles of the Rock Island Trail, a rails-to-trails project that will link Kansas City to the Katy. That part of the trail, beginning near Pleasant Hill, southeast of KC, is expected to open in several weeks, Hendricks wrote. Pleasant Hill would be tied into the regional trail network in and around metropolitan Kansas City, Metro Green. The rest of the 46-mile Rock Island Trail between Pleasant Hill and Windsor, on the Katy Trail, is expected to be finished within four years. 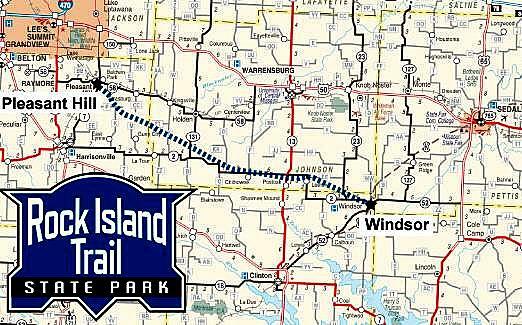 Clinton, to the southwest of Windsor, would then become the terminus of a western spur on the statewide route. Realization of that last western bit of a trans-Missouri trail, which not long ago seemed a hopeless prospect, is an intriguing tale as told by Hendricks. It involves the bankruptcy of a railroad, the ruination of a popular state park by the failure of a reservoir’s dikes, a lawsuit against a giant energy company and a monetary settlement that made the Rock Island Trail possible. At the eastern end of the Katy Trail, a cyclist traveling from the west might also experience a sense that the ride across Missouri is not quite complete. The Katy peters out just east of St. Charles, short of the state’s eastern border, the Mississippi River. It is possible, however — as I did the last time I rode the trail in 2010 — to get onto Missouri 94 and cycle through the rich bottomland along the shoulderless, somewhat dangerous, road to West Alton, Mo. From there, a cyclist can pick up the West Alton Trail, which parallels U.S. 367 to the Clark Bridge across the Mississippi into Alton, my hometown. The plan is to eventually extend the Katy Trail to the Mississippi at Alton via the West Alton Trail. Completion of the Rock Island Trail in the west and extension to the Mississippi in the east would truly make the Katy Trail a statewide bike route. Well, you know what the say — the Rock Island Line, she’s a mighty good road. Yippee for trail expansion! I live in Columbia, MO and I’m about to hop on the Katy and ride to Rocheport. A day on the Katy is always a great day! I’ve been to Columbia but have never ridden the spur between Columbia and the Katy. Have a great day in Rocheport. 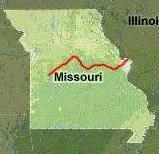 I am planning a ride from St. Charles to hopefully KC (but will settle for Lee’s Summit or just the Katy Trail) this September, many years after graduating from Mizzou and leaving the state. Any tips on a route for those of us who don’t know our way around the area appreciated! Is it easy to get from Pleasant Hill to Lee’s Summit? How about leaving the trail in Boonville?